During mornings when I woke up a little late than I should and I find myself rushing to prepare breakfast and packed lunch for the girls, I come to appreciate the existence of store bought bread. It is so convenient to be just grabbing slices of bread to make sandwiches with, isn't it? 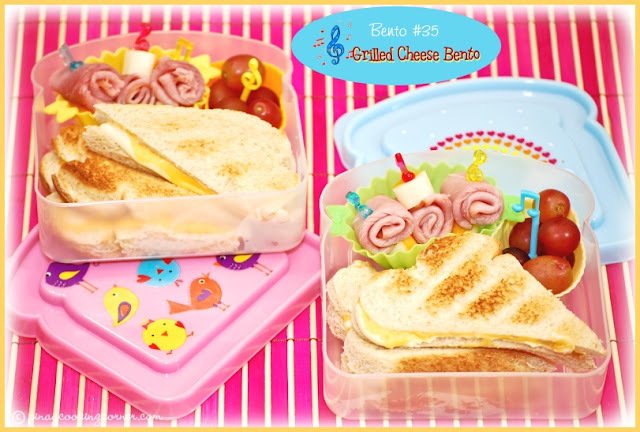 Sandwich bento is super easy to make. 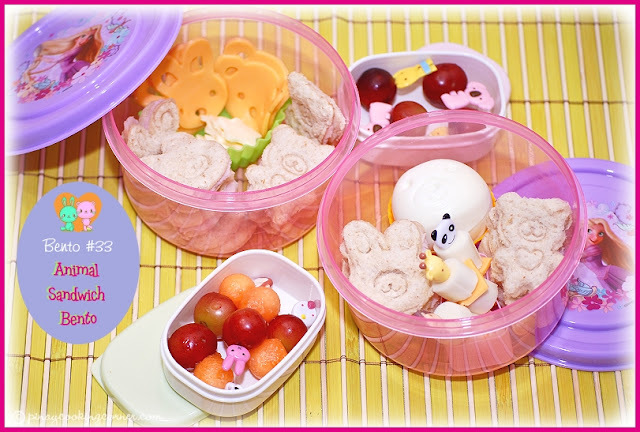 It has minimal prep time and therefore an ideal bento to prepare when you are in a rush. Good that my daughters love sandwiches. But most of the time, they prefer ham & cheese sandwich or just plain ham or plain cheese. I know that eating the exact same thing frequently can be boring, so I try to be creative enough to give the same food different presentations just so the girls will find it enjoyable to eat! On another note, we're going camping today. This will be our 8th time to go camping. We truly enjoy doing it with our friends! I can still remember our very first camping trip back in August 2009. Our friend Rose, from grade school brought us to BLORA (Belton Lake Outdoor Recreation Area) in Fort Hood. 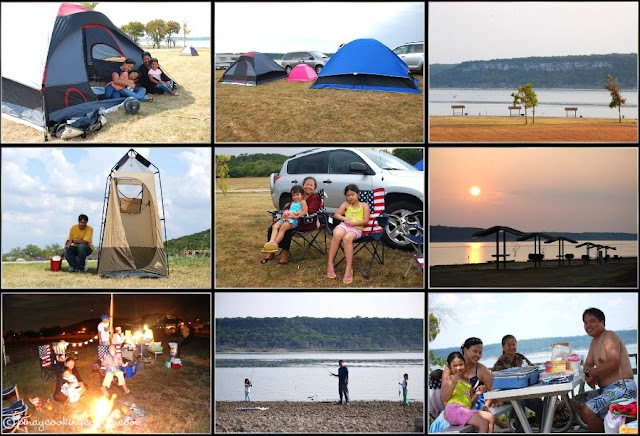 It was such a wonderful camping place, and we really had a great first time camping experience. We are so thankful to Rose for introducing us to this very awesome outdoor activity. Now, it's not just us who loves doing it! Even our friends who never thought they would ever enjoy being in the outdoors, are so into it! 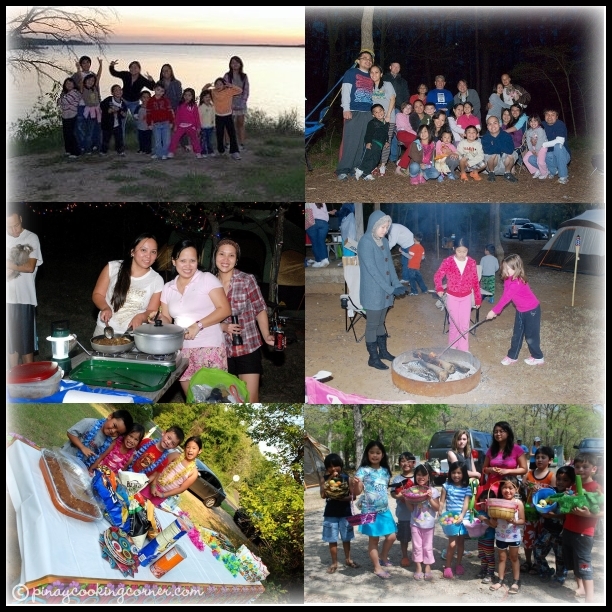 It's not just the beautiful scenery, the fun things we do, nor the tons of food we get to share and enjoy...but more of the friendship and family relationship that our twice-a-year camping strengthens! You post the most charming stories and photos! Yes, store bought bread is convenient. I don't have time to bake my own bread either. Would love to. Maybe when my kids are off in college and I have more time on my hands, lol! 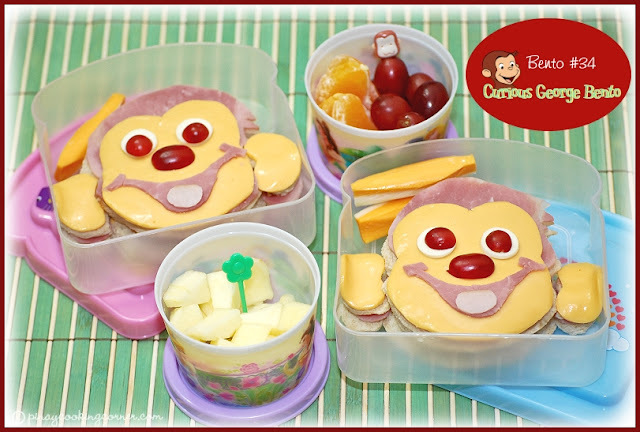 The monkey sandwiches made me smile - creative!. I wish I could be in the lunch room when your girls open their lunch boxes. Everyone must hover around to see the surprise! Have a great camping trip! Tina - you are magical with those Bentos! Your kids are so blessed! Have fun camping this weekend! I wan tto go camping with you! It looks so much fun!! I just looked at some of the kids' bento in school today and I thought most of them don't really have healthy food. It's sad but it looks like that's the reality. I admire of you to wake up early to make healthy and nutritious bento (even though it's too early to get up). Enjoy camping! 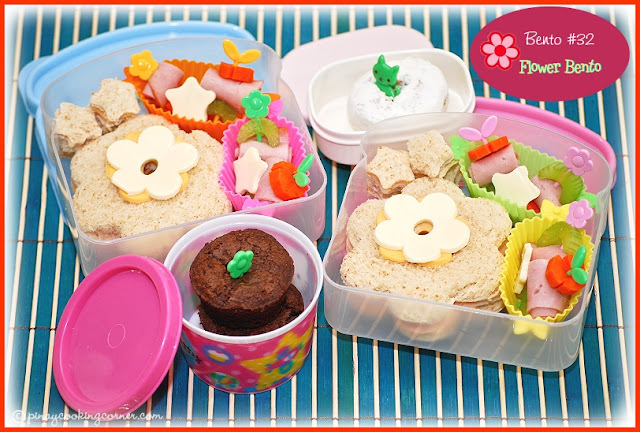 I love your bento's soo cute! I wish my baby girl was younger so I could make one for her but I'm sure it she saw that in her lunch box in middle school she would disown me! Enjoy them when they are young! I miss camping. Haven't done it since I was a child. I guess it's finally time to plan a camping trip! Lovely bentos & I wish I was part of the camping. Heehee! Looks like a great time in the past and hope you have an even better camping trip this time around and i love all those bento boxes! You are the bomb girl!